An inmate committed suicide three days before his scheduled execution — and 36 hours after prosecutors discovered shocking new information that might have saved him. Before he took his own tortured life last month, Billy Slagle had answered to just about everyone he could think of for the crime he had committed a quarter of a century ago. He had explained as best he could the circumstances of it. He had repeatedly apologized and taken responsibility for it. And he had begged forgiveness for it. Now that he is gone, the question at the heart of his tragic life and death is whether the people responsible for his fate, in positions of power and authority, will ever have the courage and integrity to accept their own measure of responsibility for what happened to him and why. Slagle hanged himself with a belt in his prison cell early on Sunday morning, August 4th, three days before he was scheduled to be executed for the 1987 home-invasion murder of a young woman named Mari Anne Pope. Slagle's death came just weeks after Ohio parole board officials narrowly rejected his final request for clemency -- over the earnest objections of Cuyahoga County prosecutors, who argued for leniency and a life sentence. It came weeks after Gov. John Kasich rejected the profound and numerous mitigating factors of Slagle's case. Even more dramatically, Slagle's suicide also occurred approximately 36 hours after prosecutors in his case discovered shocking new information that might have precluded his execution. On the Friday before Slagle died, one of the prosecutors involved in his long-ago murder trial disclosed to current prosecutors that a plea deal had been discussed among lawyers before Slagle's trial -- but that Slagle had never been told of a possible deal. Such a revelation, coming from a former prosecutor, almost certainly would have stayed Slagle's execution and likely would have pushed Ohio into granting him clemency. But just as no one evidently told Billy Slagle about the plea deal 25 years ago, no one was able to get to Slagle in time last month to tell him the news about the plea negotiations and the hope it represented. Thus this story of crime and punishment, of law and order, morphed into a work of Shakespeare: Billy Slagle killed himself for lack of hope, even though hope was careening toward him in the form of this material new information that cast doubt upon the fairness of his trial. Slagle's death prompted an internal review by the state's Department of Rehabilitation and Correction, which concluded that the conditions of his confinement at the Chillicothe Correctional Institution were "inadequate" in many respects. Less clear is whether there will ever be a similar investigation into the last-minute revelation of alleged plea deal discussions that some say were never disclosed to a capital defendant -- or, for that matter, why Ohio's governor and parole board were so intent on executing a defendant who, prosecutors say, would not be brought up on capital charges were his crime committed today. The killing of Mari Anne Pope was particularly brutal and senseless. She was stabbed 17 times in her bed, and savagely beaten, in front of two children who were staying with her in her home that night. The children escaped, went to a neighbor's home, and the police were called to the scene. Slagle, barely 18, was caught hiding behind a door in Pope's house and there was never a question of his guilt. He literally had blood on his hands. He was promptly indicted, convicted and sentenced to death -- the whole process took less than eight months. He entered the state's prison system in May 1988. He was 19 years old. As with many young people driven to violence, Slagle's childhood was terrible. Both parents were alcoholics, Slagle's lawyers recounted during his 2013 parole hearing. When they divorced, Slagle's mother became involved with men who abused him. He was smoking marijuana by the time he was 12 years old. When he dropped out of school his parents didn't even notice. When he was placed into a treatment center as a teenager -- in retrospect, his last best chance -- his family failed to help with his treatment. By the time he stumbled into Pope's house that night, he was drunk, stoned and completely lost. Some of this information about Slagle's upbringing made it to the jury. But much did not. Jurors weren't told that Slagle's mother sold marijuana or that Slagle repeatedly witnessed violent confrontations between his parents. They weren't told that Slagle starting abusing alcohol at the age of seven or that his parents wrote him off after he left that treatment center (unsuccessfully treated). Even without this additional information, two Ohio Supreme Court Justices, during the first appellate review of Slagle's case, concluded that there were enough mitigating factors here to preclude a death sentence. It was these mitigating factors, and a new approach to capital cases by the prosecutor with jurisdiction over Slagle's case, that generated yet another wrinkle that makes the story so different and so sad. In the end, even prosecutors believed that Slagle did not merit capital punishment. During Slagle's last clemency hearing, which took place less than one month before his death, Cuyahoga County prosecutor Timothy J. McGinty asked the parole board "to reconsider its recommendation and recommend that the Governor commute Slagle's sentence from death to life without the possibility of parole." McGinty's lawyers made clear their reasons. "At the time of Slagle's trial," they told the parole board, "Ohio did not allow for the possibility of a sentence of life without parole for an aggravated murder conviction." The absence of such a "sentencing option," they wrote, "may very well have led to the imposition of the death sentence." One such mitigating factor, prosecutors wrote, was the fact that Slagle was only 18 years old at the time of the crime. Another was his relatively clean record during his 25 years in prison. On Sunday, August 4, 2013, at 5:06 a.m., Chillicothe Correctional Institution (CCI) Officer Clay Putnam observed inmate Billy Slagle (A203-172) hanging in his cell (#305) on A-Range during count on the AB ranges. Responders arrived at the scene as well as paramedics from Pickaway Plains EMS. 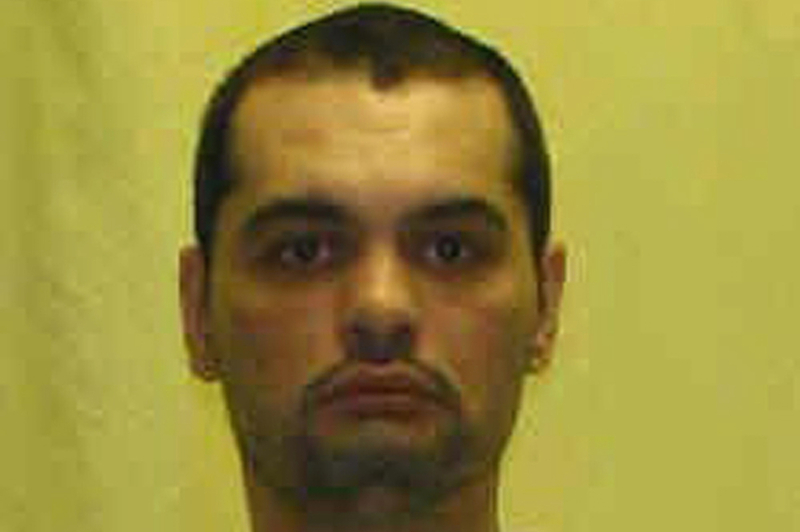 Despite the efforts of responding staff and the paramedics, Slagle was pronounced dead at Adena Regional Medical Center at 6:11 a.m. Inmate Slagle was scheduled for execution on Wednesday, August 7, 2013. Pursuant to institutional protocol, he was scheduled to be moved to an elevated watch status and housing placement at 6:00 a.m. on Sunday, August 4, 2013. In other words, Slagle was found dead less than one hour before he was supposed to be watched more closely by prison guards. This "elevated watch status" may or may not have spared Slagle, however, because it is uncertain from the record that prison officials would have performed that monitoring job any better than they had the job of watching Slagle on the night that he died. The Department discovered that Slagle's guards were both derelict and deceitful: They had not performed their appointed rounds that night and also falsified the electronic log to make it appear that they had. There was more in the report that explains how Slagle could have succeeded. There was inadequate lighting in his cell and the prisoner himself controlled what little light there was. There were atrocious staffing problems, too. With days to go before an execution, the report concluded, "28 of the 39 security posts were guards were filed with a relief officer. In the Death Row blocks that evening, all 6 officers were relief. Officer Putnam was a probationary officer." Everyone wanted an early August weekend off. No one cared enough about Billy Slagle to make sure he wouldn't harm himself. Ohio Civil Service Association officials remain critical of what they see as the prison administration's failure to see that a manpower shortage is hampering the system's ability to maintain security and prevent incidents such as suicides. "They are looking for a fall guy. The fall guy is always going to be the corrections officer," said Tim Shafer, the union's operations director and a former longtime corrections officer. "They should be looking from the top down." Rather than apologizing unconditionally for the suicide of Billy Slagle, a death caused by the acknowledged systemic failure of state officials, some of those officials thought it seemly now to posture over who ought to be blamed for what happened. What irony. In the end, one of the strongest arguments in favor of Billy Slagle's clemency request was that he had accepted responsibility for his terrible choice that night in 1987. Is anyone working in the Ohio prison system going to do likewise? On Friday, August 2, 2013, at about 4:50 p.m., I received a phone call from Cuyahoga County Prosecutor McGinty, and Assistant Prosecutors Meyer and Regas. They had important information to share with me regarding Mr. Slagle's case. Mr. Ginty (sic) related that the prosecutor's office had spoken to Joe Delguyd who was the trial prosecutor in Mr. Slagle's capital case in 1987. Later that evening on August 2nd, Assistant Prosecutor Meyer called me and asked if would be filing a stay motion on Monday, August 5th, in light of the new evidence about the plea. I said that a stay motion would be filed for Mr. Slagle on Monday, August 5th in the Ohio Supreme Court. Mr. Meyer said that the Prosecutor's office would not oppose Mr. Slagle's new stay motion. By telephone on Friday, McGinty elaborated on these facts. First, he reiterated the position his office had taken on clemency before the parole board in July -- that Slagle would not have been charged with a capital defense were the case to arise today. "It clearly was not a carefully premeditated murder," McGinty said. emphasizing Slagle's age at the time of the crime. As for Delguyd and his revelation, McGinty said: "I know the guy for a long time. He's a very trustworthy, honest guy. ... I didn't know there was a plea offer but if there was I assumed the other side knew about it." McGinty says he found it hard to believe that Slagle would not have been told about a plea deal if one were discussed among the attorneys. He told me that he believes Delguyd, his former colleague, more than he believes Ross Haffey, Slagle's trial attorney, who denies the existence of discussions of a deal. But McGinty also said that William Caine, who first-chaired the Slagle trial, "would have known what Joe knew" and if Caine knew about a such plea discussions he sure didn't mention it this summer while appearing before the parole board arguing for Slagle's execution. What Caine did say was that the Slagle trial was handled by "senior prosecutors" who were "very experienced and capable." In any event, Delguyd, with whom I spoke Monday evening, offered more perspective on what may or may not have happened leading up to the Slagle trial. "I am definitely not calling Ross Haffey wrong or a liar or anything like that," Delguyd told me. "My recollection is that he didn't want to plead the guy to 30 years. My recollection was that Ross would have pled the kid to 20 and not 30. My recollection is not perfect but if someone [a defense attorney] would have said they would have taken 30 years they [county prosecutor Corrigan] would have given 30 years." Delguyd said the common practice back then would be for a defense attorney to initiate a plea negotiation -- to make an offer -- which prosecutors then would evaluate and respond to. He doesn't remember a lot of discussion about a Slagle deal at the time, he says -- never remembers Haffey coming to prosecutors and begging them to spare his client's life. Haffey "remembers it differently," Delguyd concedes. "And that's his position. And I am not saying that I have the almighty memory." Why did Delguyd come forward this summer to share his perspective after all those years? Because a judge made an off-hand comment to him about McGinty's push for clemency for Slagle. "I'm not a death penalty guy," Delguyd told me. Caine could not be reached for comment. But McGinty is sure that Delguyd's story would have delayed the execution and he believes that regardless of how the dispute over the plea deal would have played out in court it would have been "a tipping point" that would have permanently blocked the execution of Slagle. Clearly the case -- and Slagle's suicide -- have revealed old rifts and faded memories between and among former colleagues at the prosecutor's office. Had he lived, Slagle would have been a prop in their public fight. Now that he is dead, he hovers like a ghost over all these men. Wilhelm, the defense attorney, says that Slagle told him months before his death that he would have taken a plea deal had one been offered to him. But it didn't happen, says Haffey, the trial attorney, who spoke with me by telephone on Sunday. He told me: "There was no offer of a deal. Period. And there are no ifs, ands or buts about that. My sole objective as a trial lawyer in a death penalty case is to save my client's life. If I had an offer of a deal, it would have been taken, I assure you of that. ... I'm telling you if there was an offer it would have been taken. There was no offer." I asked Haffey why Delguyd would have said that there was such an offer. He replied: "Delguyd is apparently misguided. I have no idea why." If there was an offer, Haffey said, there would have been a note in the file. But there was nothing. Haffey then suggested two possible explanations for the contradictions between his version of events and the version offered by Delguyd. Haffey says it is conceivable that the chief prosecutor at the time, John Corrigan, may have authorized the deal but that his subordinates did not relay that vital information to the defense. Corrigan is dead. Haffey also suggested that prosecutors today are trying to "put a smiley face" on the harsh choice they made at the time of Slagle's trial -- to make themselves "look good" now even though they pushed in 1988 for the death penalty in a case involving a young man who had just turned 18 at the time of the crime. But prosecutors clearly are split on Slagle. McGinty thought he deserved clemency in the form of a life sentence. Caine told the parole board that Slagle deserved to die. This looks less like a smiley face and more like a frown masking the truth of the matter, whatever it might have been all those years ago. This dispute in any event might long ago have been resolved had prosecutors and defense attorneys and judges all abided by the sensible rule of memorializing such plea deal offers in the case file. But Vicki Werneke, who represented Slagle until his death, told me that such plea deals back in the day were almost never memorialized -- never put in writing -- in order to protect the political interests of prosecutors. (There is, thankfully, a reform effort underway now in Ohio through its bar association to ensure that all such plea deals, accepted or not, are made part of the trial record). At a minimum, Delguyd's statement to current prosecutors, and the current prosecutors' belief that this statement was credible, would have generated a significant issue for the Ohio courts to chew on: Undisclosed plea negotiations in a capital case raise legitimate questions about the constitutionality of Slagle's trial. It also undercuts the arguments made against clemency by Caine, who told the parole board in July that Slagle's case that "the mercy shown Slagle should be measured by the mercy that Slagle showed Pope." The assistant prosecutor said Billy's trial attorney rejected the offer. However, it appears that Billy had never been informed of the plea deal. Billy even told us that had he been given a deal back then, he would have taken it. He did not know that he could have plead guilty back then and been spared the death penalty... We would have been able to work out a deal where Billy's death sentence would be vacated and he would have been sentenced to life imprisonment. This was great news! Joe and I worked on Saturday to prepare a strategy and the pleadings. However, we were not able to tell Billy because we didn't have access to him after hours. We didn't tell his family out of concern that if the information leaked, others would try to stop the support from prosecutor's office. We sent an email to the case manager at the prison requesting a phone call first thing Monday morning. But then Sunday morning, the world shattered. I was in church with my dad and my phone kept vibrating in the middle of the sermon. I could tell I was getting phone calls, but didn't look at my phone. As soon as I could find a discreet time to take a glance at my phone, I saw a text message from Jan telling me that Billy's sister called to tell us that he had hanged himself. He was gone. No one from the prison called us, his attorneys. I learned that after they called Billy's family, the prison media person called the press. By the time I got out of church, it was all over the news. Using words that surely bring no solace to Slagle's supporters, Gary Mohr, the director of the Ohio Department of Rehabilitation and Correction, told the Columbus Dispatch last week: "I care about everyone we have responsibility for, no matter what they have done." Mohr made this comment after announcing that prison officials were going to conduct an outside review of their suicide prevention policies and practices. This investigation, which is separate from the Slagle investigation noted above, was prompted in large part by the prison suicide of Ariel Castro, the notorious kidnapper, who hanged himself in a jail cell exactly one month to the day after Slagle did. So there will be an investigation by prison officials -- and there should be. Not properly staffing a death row days before an execution is unacceptable. Falsifying electronic records is actionable. Even if Slagle showed no signs of suicidal tendencies before his death, Castro sure did. And the latter's death tells us that prison officials learned virtually nothing from the death of the former. Who will be held accountable for this continuing negligent supervision of these inmates? Which public servant is going to lose his or her job for what happened in early August and then again in early September? But Ohio cannot stop there. Gov. Kasich, who also shares blame here for rejecting McGinty's reasonable case for leniency, must now commission an investigation into the circumstances of the alleged "deal." It is the only redeemable action the governor can take in light of Slagle's death. In other words, the hearing that Billy Slagle surely would have received from a judge had he lived ought to take place anyway now that he is dead. Delguyd, the former prosecutor who alleges there were deal discussions, ought to be sworn and testify under oath. So, too, should Haffey, the former defense attorney who denies that such discussions took place. So should McGinty and his subordinates, who took the call from Delguyd and then informed Slagle's attorneys. And so should William Caine, who was the only person who participated in the original Slagle trial to argue against clemency this year. Whatever recollections are animating the public and private positions taken by these men with respect to a deal ought to be aired, once and for all, under oath. If Slagle's life and death are to have any meaning beyond senseless tragedy, if Ohio is ever going to rise above this dubious chapter in its legal history, these questions must at least be earnestly asked if not honestly answered.